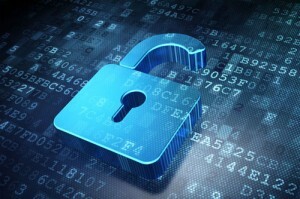 Big data breaches have been making headlines more and more frequently. It was announced last week that the computer systems at the U.S. Office of Personnel Management had been breached. This is the second computer break-in in the past year for the agency. An estimated four million current and former federal employee records may have been compromised. Guidance Software, a cybersecurity firm, used Einstein, an intrusion detection system, to trace the breach back to a machine under the control of Chinese intelligence. The hard truth about data breaches is that no one is safe: An individual, a small business, a Fortune 500 company, and government agencies can all be infiltrated. Costs from data breaches have grown tremendously in recent years. On average, a data breach will cost a large company about $640,000 to cover the cost of business disruption, information loss, and detection. It takes the average company about a month to recover. If you own a small to medium sized company, it’s doubly wise to be prepared. Small organizations can expect a higher per-capita cost than large organizations. So, what can your organization do to be better prepared for a possible data breach? Keep antivirus and anti-malware definitions up to date. Train your employes regularly on IT security measures. Create a clear-cut, step-by-step Data Breach Incident Response plan in the event of a security attack in order to limit damage and reduce recovery time and costs. Hire an Information Security Firm. One of the best investments your organization can make is to become wholly prepared for a data breach. If your organization needs guidance on protecting your company’s data, contact your trusted IT advisor today.